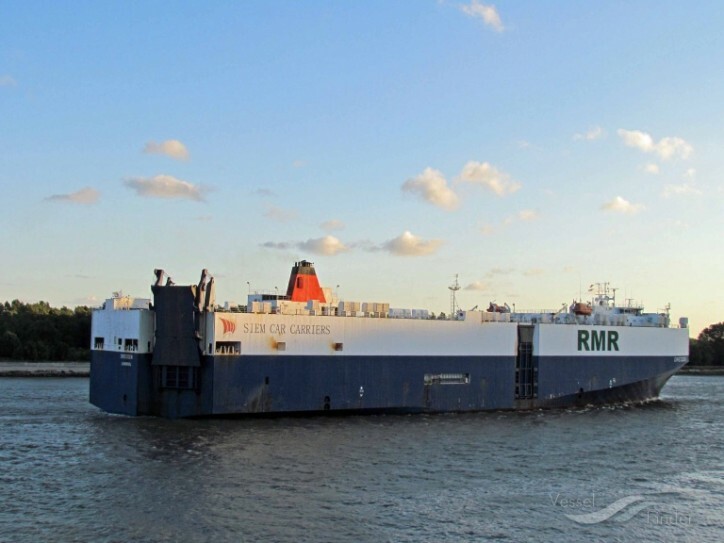 In line with Government of India’s policy of implementing the vision for coastal shipping, tourism and regional development, New Mangalore Port Trust (NMPT) has introduced Car carrier service between Gujarat and Mangaluru. The pure car and truck carrier – MV Dresden sailed out to Cochin after discharging Tata Cars and loaded trucks at the port on Friday. The vessel will be plying between Gujarat-Mangaluru-Kochi-Ennore. These cars are brought for the Tata car dealers of Mangaluru and Udupi. Unique feature of this vessel is that loaded trucks and cars can be driven into the vessel and driven out once it reaches its final destination. NMP traffic manager stated that this coastal service between Mangaluru and Gujarat will contribute substantial savings to the car manufactures and truck operators by way of reduced fuel consumption, reduced wear and tear of vehicles and toll charges, and bring down the delays in border crossing and risk of long-distance driving. The service is taken up by M/s Sical Logistics . The car dealers and truck operators can make use of this facility by availing 80% discount on vessel related charges and also the benefit of security, safety and time. The release stated that the port has initiated various steps to attract more coastal movement of car carriers and other vessels. In this direction, the port has earmarked exclusive berths and storage area for handling coastal vessels.